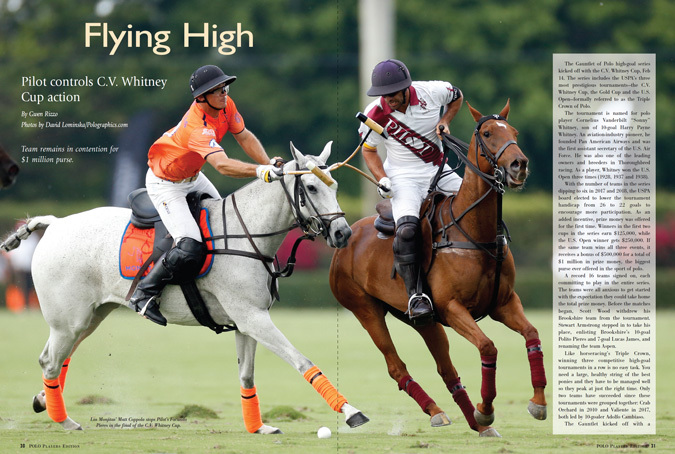 The Gauntlet of Polo high-goal series kicked off with the C.V. Whitney Cup, Feb 14. 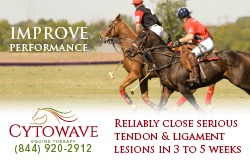 The series includes the USPA’s three most prestigious tournaments—the C.V. Whitney Cup, the Gold Cup and the U.S. Open—formally referred to as the Triple Crown of Polo. The tournament is named for polo player Cornelius Vanderbilt “Sonny” Whitney, son of 10-goal Harry Payne Whitney. An aviation-industry pioneer, he founded Pan American Airways and was the first assistant secretary of the U.S. Air Force. He was also one of the leading owners and breeders in Thoroughbred racing. As a player, Whitney won the U.S. Open three times (1928, 1937 and 1938). With the number of teams in the series dipping to six in 2017 and 2018, the USPA board elected to lower the tournament handicap from 26 to 22 goals to encourage more participation. As an added incentive, prize money was offered for the first time. Winners in the first two cups in the series earn $125,000, while the U.S. Open winner gets $250,000. If the same team wins all three events, it receives a bonus of $500,000 for a total of $1 million in prize money, the biggest purse ever offered in the sport of polo. A record 16 teams signed on, each committing to play in the entire series. The teams were all anxious to get started with the expectation they could take home the total prize money. Before the matches began, Scott Wood withdrew his Brookshire team from the tournament. Stewart Armstrong stepped in to take his place, enlisting Brookshire’s 10-goal Polito Pieres and 7-goal Lucas James, and renaming the team Aspen. Like horseracing’s Triple Crown, winning three competitive high-goal tournaments in a row is no easy task. You need a large, healthy string of the best ponies and they have to be managed well so they peak at just the right time. Only two teams have succeeded since these tournaments were grouped together: Crab Orchard in 2010 and Valiente in 2017, both led by 10-goaler Adolfo Cambiaso. The Gauntlet kicked off with a celebration and tournament draw on Feb. 7. The teams were introduced one by one before a member of the team drew a number to determine which team they would face first. The single-elimination format required each team to give it everything they had every time they stepped on the field. The tournament matches started off with a bang as four games were played on Thursday, Feb 14 and another four games were played the next day. After two days, half the teams were eliminated and dropped into the subsidiary rounds. The games were almost all close, displaying plenty of fast, open play. Last year’s U.S. Open winner Daily Racing Form edged Stable Door Polo, 13-11; Pilot topped Aspen, 12-11; Park Place defeated Coca Cola, 10-7; and SD Farms slipped Tonkawa, 10-9. The next day, La Indiana got the best of Santa Clara, 12-8; Las Monjitas edged Iconica, 9-8; Cessna topped Postage Stamp Farm, 9-7; and Equuleus beat Old Hickory Bourbon, 9-6. The eight winners moved on to quarter-finals a few days later. Los Monjitas powered past Park Place, 10- 9; La Indiana edged Daily Racing Form, 10-8; Pilot beat Equuleus, 10-9; and Cessna downed SD Farms by the largest margin thus far, 11-5. In the semis, Las Monjitas dashed Cessna’s hopes after the teams were tied for the first four periods (1- 1, 3-3, 4-4, 6-6). Cessna took an 8-7 advantage going into the final period, but Las Monjitas’ Francisco Elizalde and Hilario Ulloa combined for three goals while the team broke up all of Cessna’s offensive drives to take the 10-8 win and advance to the final. On the other side, Pilot, powered by brothers Gonzalo and Facundo Pieres, shut out La Indiana 6- 0 in the first 14 minutes. La Indiana rallied in the third to get back in the game, 6-4. Pilot kept up the pressure, outscoring La Indiana, 8-5, in the second half to advance with a 14-9 score. Spectators were looking forward to a exciting match between two tough teams. Curtis Pilot was back in the saddle after missing the preliminary matches to be with his family. Sadly, his eldest daughter, Nikki Pilot Carlisle, a mother of three, lost her year-long battle with breast cancer on Feb. 13. The team members wore armbands with her initials to honor her during the match. “Curtis is looking forward to playing and putting in everything he can,” Gonzalo Pieres said. “He is a strong man with a strong family and he really likes polo. We want to win for his daughter and for him.” Mia Bray filled in for Pilot while he was gone. She was very appreciative of the opportunity to play on Pilot’s fantastic horses and with incredible teammates, and rose to the challenge beautifully. Pilot struck first with Facundo Pieres slipping a Penalty 2 between the posts. Gonzalo Pieres followed with a field goal before Hilario Ulloa put Las Monjitas on the board. The chukker ended with Pilot ahead 2- 1. The teams traded Penalty 2s in the second. Ulloa was given a yellow card for unsportsmanlike conduct before Facundo found the goal to double up Las Monjitas’ score, 4-2. The teams traded Penalty 4s in the third to finish the first half, 5-3. Las Monjitas was shooting at goal but wasn’t finding the mark. Pilot knocked in five times in 14 minutes. In the fourth, Pilot took control, repeatedly hammering at goal, while Las Monjitas struggled to keep up. 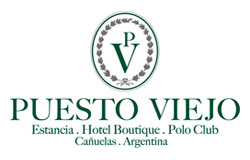 First, Facundo Pieres found the target, then brother Gonzalo sent the ball between the posts. Matias Gonzalez shot through another one and Gonzalo tallied his second goal. Las Monjitas, unable to score, was getting frustrated and before long, Ulloa was called for unsportsmanlike conduct. His second yellow card put him in the penalty box for two minutes. With 1:51 left on the clock, he would have to sit out the rest of the chukker and several seconds of the next chukker. Facundo Pieres took advantage of Las Monjitas being a player short and shot in Pilot’s fifth goal of the chukker, taking a 10-3 lead. Ulloa, anxious to get back out and help his teammates, returned to the field shortly after the start of the fifth, but officials determined he had come back seconds too soon, and when he did so, he fouled a Pilot player. That earned him a red card, which removed him from the field for the remainder of the match as well as his next match. The situation seemed to take the wind out of Las Monjitas’ sails and certainly made the game less enjoyable to watch. Pilot was awarded a Penalty 2 for Ulloa’s moves, which Facundo had no trouble converting. He later scored another from the field to jump ahead 12-3. Late in the fifth, Las Monjitas was allowed to bring in a substitute, so 8-goal Santi Toccalino took Ulloa’s place. Toccalino is playing for the Stable Door Team, however, with no other high-goal player available, the substitution was allowed in the best interest of the tournament. Trailing by nine, Las Monjitas did all it could to make up for lost time. Toccalino scored for Las Monjitas, its first goal since the third and its first field goal since the first chukker. Matias Gonzalez responded, shaking loose and splitting the uprights for a 13-4 score. Pilot seemed to be on cruise control as Francisco Elizalde fired through back-to-back goals. The match came to an anticlimactic finish with Pilot ahead 13-6. Matias Gonzalez was named MVP and took home a new saddle, presented by USPA Global CEO Michael Prince, while Facundo Pieres’ bay mare, Open Pennsylvania, was named Best Playing Pony, an award presented by former 10-goaler Mike Azzaro. Facundo Pieres congratulated Gonzalez for the honor. “He’s a great teammate. I think he’s improving game by game and he has a very good attitude when we tell him what we’d like him to learn and improve on. We are really happy to have him on our team.” He was also happy with Open Pennsylvania. “Today she was a machine. I used to play her mother, Penca, and she was great also. I first brought her there three or four years ago. I’m very happy with her and also with my grooms because they do a great job caring for the horses,” he said. After the match, USPA officials spoke with players and umpires to determine what happened and why. Later, they determined that Ulloa would be allowed to play in his next match, Las Monjitas’ first match of the Gold Cup. The win put Pilot on track for the $1 million purse, with the last two legs still left to play out. In the subsidiary Iglehart Cup, Santa Clara narrowly led the entire game to overcome Aspen 11-9. In the subsidiary Glenn Hart Cup, Tonkawa got the best of Iconica, 15-11. Iconica’s 9-goal Sebastian Merlos broke his hand in the Glenn Hart Cup semifinal. He was replaced in the final by 7-goal Gringo Colombres. The team began with a two-goal handicap, which it maintained until the third chukker.